By this time President Truman decided MacArthur was insubordinate, and relieved him of command on April 11, 1951, leading to a storm of controversy. MacArthur was succeeded by General Matthew Ridgway, and eventually by General Mark Wayne Clark, who signed the armistice which declared a ceasefire to the Korean War. General Ridgway reported directly to MacArthur before replacing him. “ I had the deepest respect for MacArthur's abilities, for his courage and for his tactical brilliance.... I had profound respect for his leadership, his quick mind and his unusual skill at going straight to the main point of any subject and illuminating it so swiftly that the slowest mind could not fail to grasp it. He was, despite any weakness he may have shown, a truly great military man, a great statesman, and a gallant leader. " “ ...the hunger for praise that led him on some occasions to claim or accept credit for deeds he had not performed, or to disclaim responsibility for mistakes that were clearly his own; the love of the limelight that continually prompted him to pose before the public as the actual commander on the spot...his tendency to cultivate the isolation that genius seems to require, until it became a sort of insulation...that deprived him of the critical comment and objective appraisals a commander needs...; the headstrong quality...that sometimes led him to persist in a cause in defiance of all logic; [and] a faith in his own judgment that created an aura of infallibility and that finally led him close to insubordination. " US President Harry S Truman has dismissed General Douglas MacArthur as commander of United Nations and US forces in the Far East after disagreements over foreign policy in Korea. 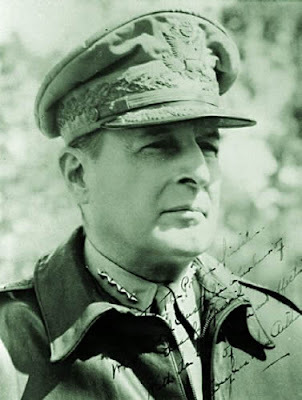 General MacArthur will be replaced by Lieutenant-General Matthew Ridgway, appointed as head of the 8th Army in Korea by General MacArthur himself last December. At 0100 local time, Washington issued the official announcement of the general's dismissal along with several documents showing he had ignored orders to refrain from making political statements. The move has shocked the American public and angered Republican politicians who revere General MacArthur as a distinguished soldier and leader. In a broadcast to the nation tonight, the president acknowledged the general was one of America's greatest military commanders. But he added: "The cause of world peace is more important than any individual." The cause of world peace is more important than any individual. Last month, General MacArthur called for an attack on China itself unless Communist forces laid down their arms in Korea. 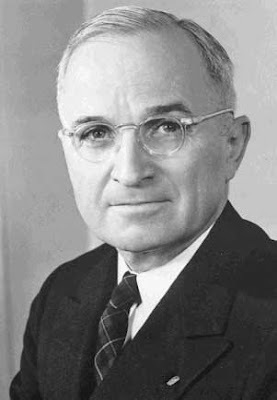 Tonight President Truman re-affirmed his belief that extending the battle beyond Korea could lead to a third world war if the Soviet Union decided to enter the fray. "A number of events have made it evident that General MacArthur did not agree with that policy," he said. "I have therefore considered it essential to relieve General MacArthur so that there would be no doubt or confusion as to the real purpose and aim of our policy." He also made it clear he was ready to negotiate with the North Koreans on a peace settlement as long as fighting stopped. Republican leaders in Congress and the Senate expressed their anger saying the dismissal had endangered national unity and they called for Congress to investigate foreign policy in Korea. General MacArthur's successor, Lt-General Ridgway, is a highly respected paratrooper commander who jumped with his men in World War II during the invasion of Sicily and on D-Day. He earned many awards for bravery along with the nickname "the fighting and jumping general". 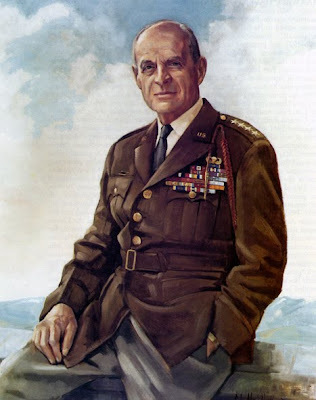 Since his arrival in Korea last year, Lt-Gen Ridgway has regrouped retreating allied forces, boosted army morale and hit back at the enemy in what he calls a "limited offensive" pushing the Communists back north across the 38th parallel. British troops have compared him to General Montgomery in the way he inspires his men on the battlefield. His habit of wearing a hand grenade at his shoulder is as familiar to the troops as Montgomery's beret.